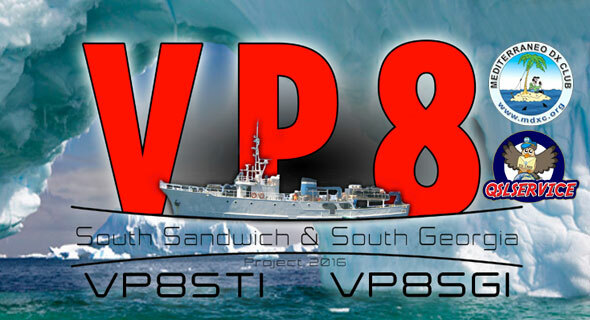 The Mediterraneo DX Club is sponsor of VP8STI – South Sandwich & VP8SGI – South Georgia. The South Sandwich Islands are a cold and inhospitable place. At 59 degrees south, Southern Thule Island is one of the most remote places on Earth. Southern Thule is closer to the polar circle and the South Pole than either Bouvet Island or Heard Island. To get there, we will voyage the Drake Passage and brave strong winds and high seas. Our sole focus is to get you in our logs. The Intrepid DX Group is pleased to announce that all of our plans are moving forward very well. We are pleased to report that all of our gear has arrived in Tauranga, New Zealand. It has been fumigated and is now being stored before it is loaded onto the RV Braveheart for her long voyage to meet the team in the Falkland Islands. At this time, we wish to inform the Global DX Community of our intended QRV dates from each island. We will depart Stanley, the Falkland Islands on January 9th, 2016. Approximately five days later, we will arrive in King Edward Point, South Georgia where we will meet with the Government of South Sandwich and South Georgia and undergo a safety and biodiversity briefing. We will then voyage three more days south to Southern Thule Island in the South Sandwich chain of Islands. We expect to arrive at South Sandwich on January 17th however, that is dependent on the weather and sea conditions. Our ship Captain tells us that it is common to encounter rough seas on the way to South Sandwich and that rough seas and bad weather can prevent our landing by several days. We plan to be on South Sandwich for ten days operating as VP8STI. We will then break down our camp and voyage three days back to Husvik Bay, South Georgia where we expect to land and set up operations on or about February 1st. We will operate from South Georgia Island as VP8SGI. Our main priority is to make a great impact to the need for South Sandwich contacts and we will sacrifice our time at South Georgia to ensure that we make that impact from South Sandwich. We expect to return to Stanley, the Falkland Islands on February 14th. We will be QRV from Stanley as VP8IDX until our flights home on February 20th. When our voyage starts, you can see our location in real time on a map on our website. You will know when we are about to land or are departing one island for the other. We will be in daily satellite communications with our Pilots, and support team. You can get a feel for propagation as we will be QRV as VP8IDX/MM on the way to and from the islands. Our plan is to be at each of these top ten entities for ten days. To effectively do that, we need your support. We are seeking more support from the many DX Clubs of North America, Canada, Mexico, South America, Europe and Asia that have yet to make a donation. So, please consider a generous contribution to this project. To have your club or organization’s logo included with the QSL card, please contribute $250 or more. Individual contributions of $150 or more will be listed with the QSL card. All donors of $25 or more will receive an early LoTW upload. 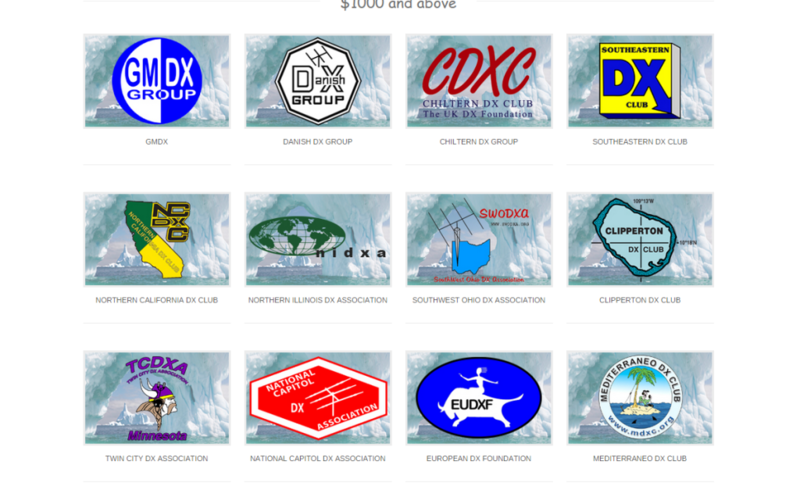 Everyone who supports the Dxpedition will be listed and properly recognized on our website.